We would like to inform our customers that we will be taking a few days of this week to recharge this week. 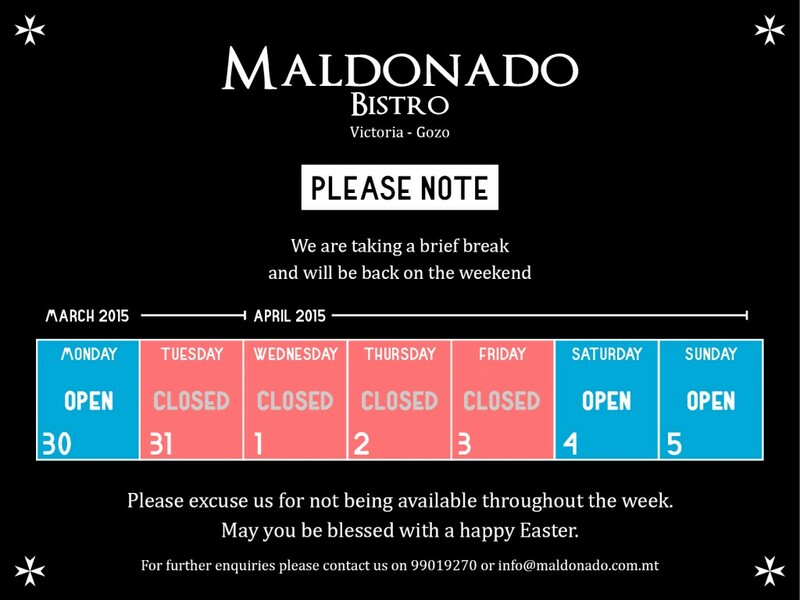 Therefore our last day opened for dinner will be Monday, 30 March 2015.  We will then open again for dinner from Saturday, 4 April 2015 onwards. Our sincere apoligies for not being open throughout this week. We hope you will all be blessed with happy Easter. To reserve a table for Easter Saturday and beyond, please call us on +356 9901 9270 or click on the link below.